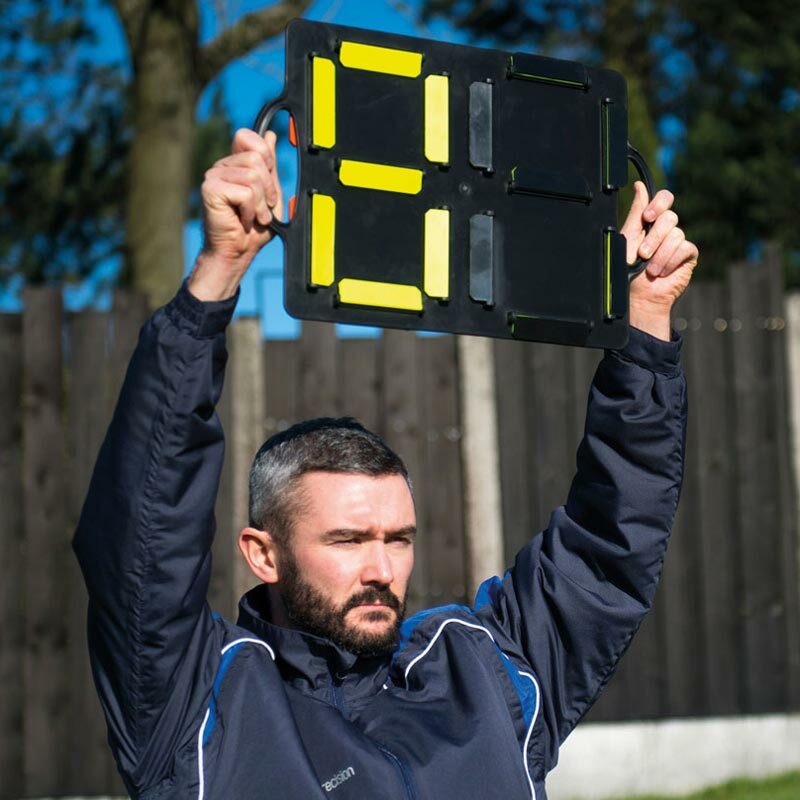 Red one side for players off and Yellow for on. 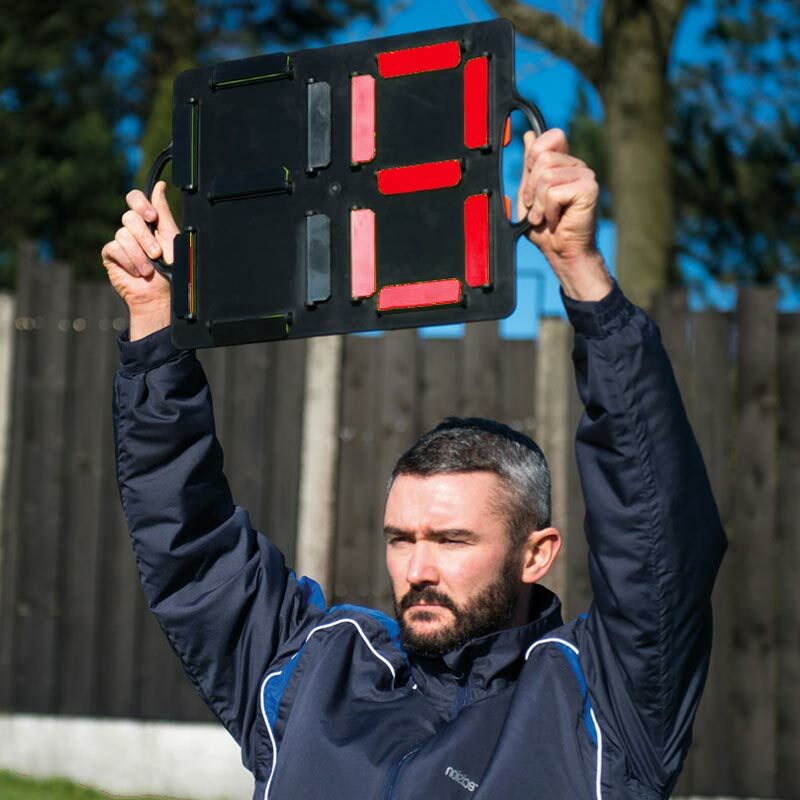 Improve your pitch side management with the Ziland Substitutes Board. 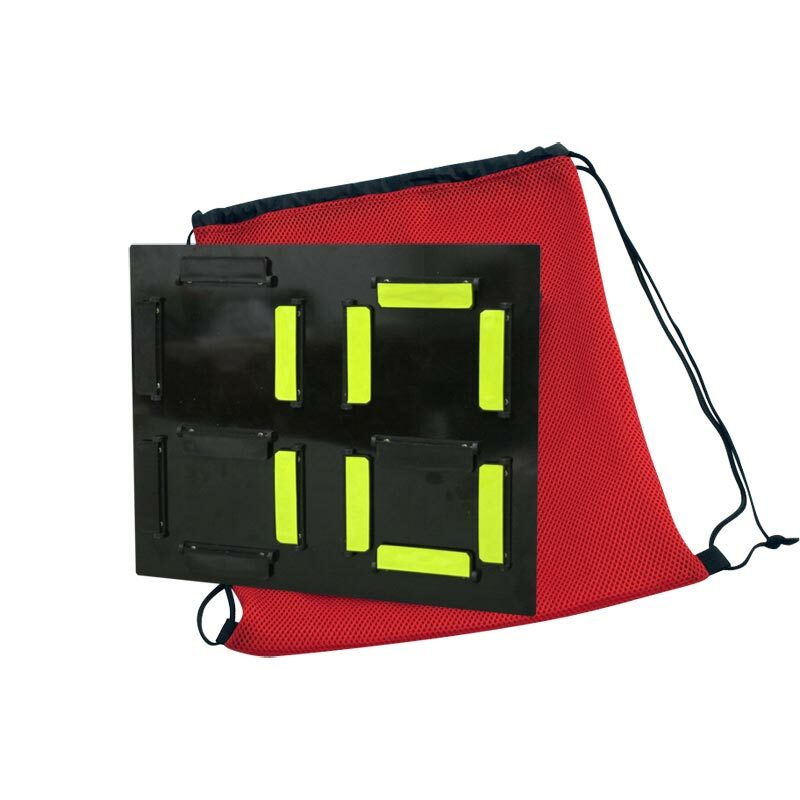 Reversible board with red digits for players off on one side and yellow for players coming on on the other side. Numbers 1 - 99 can be created. Red digits for players Off on one side, Yellow digits for players On on the other side. Numbers 1-99 can be created.